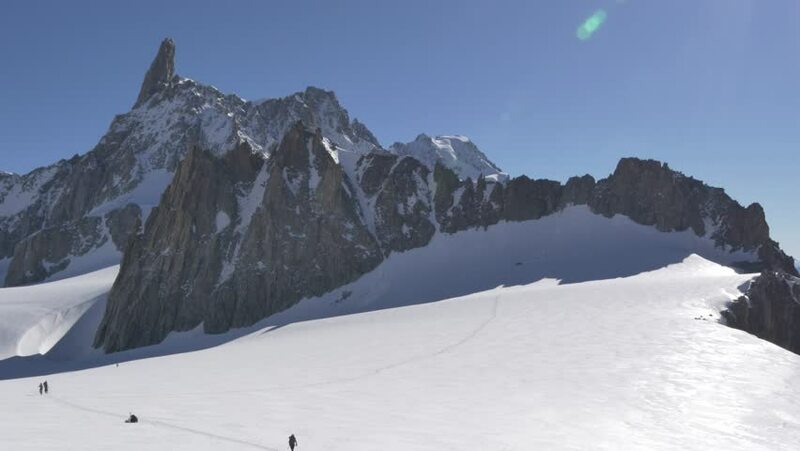 A group of mountaineers that aim to conquest the Dent du Geant peak. Mont Blanc massif, Chamonix, France, Europe. 4K UHD in Cinelike Gamma (flatter profile suitable for grading) by Panasonic GH-4. hd00:17White Snow Rocky Mountains. Thick white snow covers long mountain ridges. Steep rocky cliffs abruptly stem down the narrow Mountain peaks.